Emphasis on "RBA" birds has been added, some formatting changes have been made. 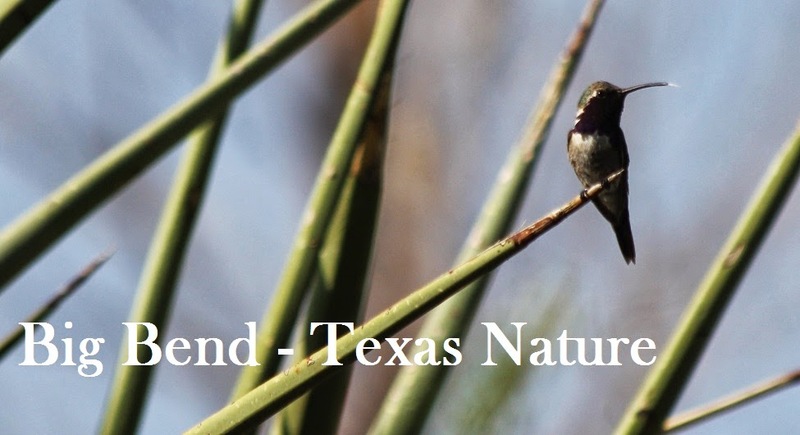 Posted with permission from Willie Sekula - we're not really sure how to 'tag' this post because we've had so little coverage of the Guadalupe Mountains and Pecos County on this blog before! We're quite grateful to this intrepid crew for their coverage of the region and allowing us to post their sightings and photographs here. Many, many thanks! 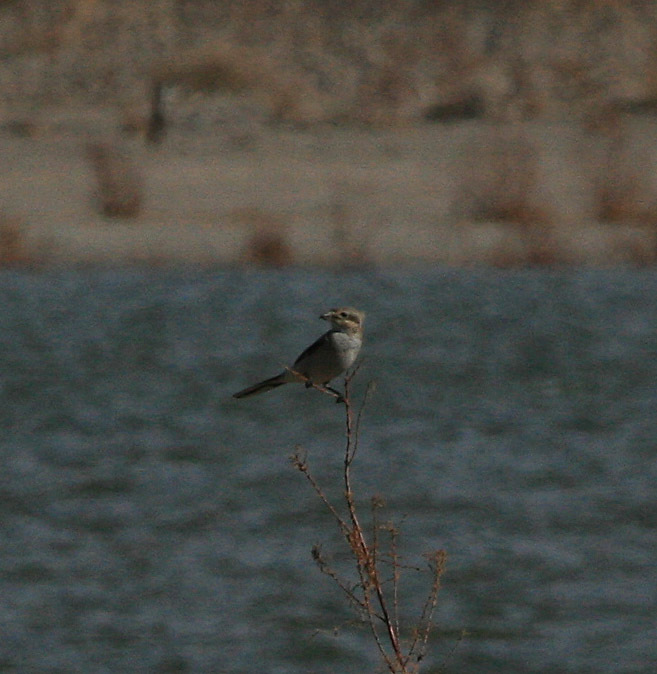 Martin Reid, Sheridan Coffey and I birded Red Bluff Lake (~38 miles north of Pecos) today. We had a good day of birding with the highlight being an immature Northern Shrike which was on the northern (no pun intended) of the lake off County Road 453. 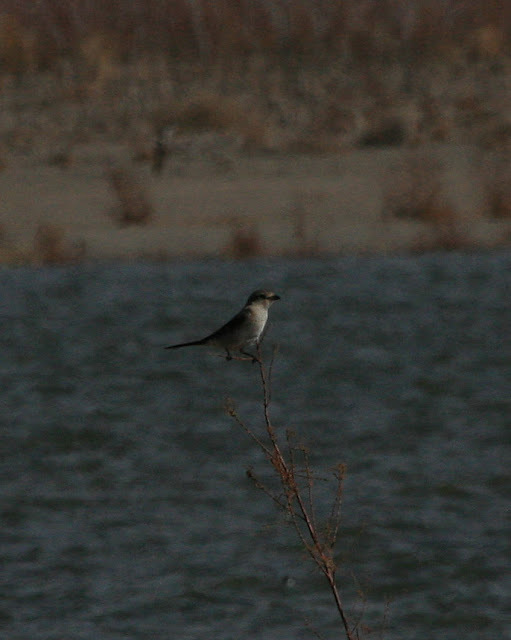 The bird was pretty flighty. Martin and I had to work to get some record photographs of the bird but we finally succeeded. Other highlights included two Red-throated Loons and 1900 Common Mergansers. 1900 Common Merganser -- Counted by both Martin Reid and Willie Sekula. 1 Northern Shrike -- Photographed. Young bird. Please note that Sandy Beach (other side of dam) was not accessible. The gate was locked. 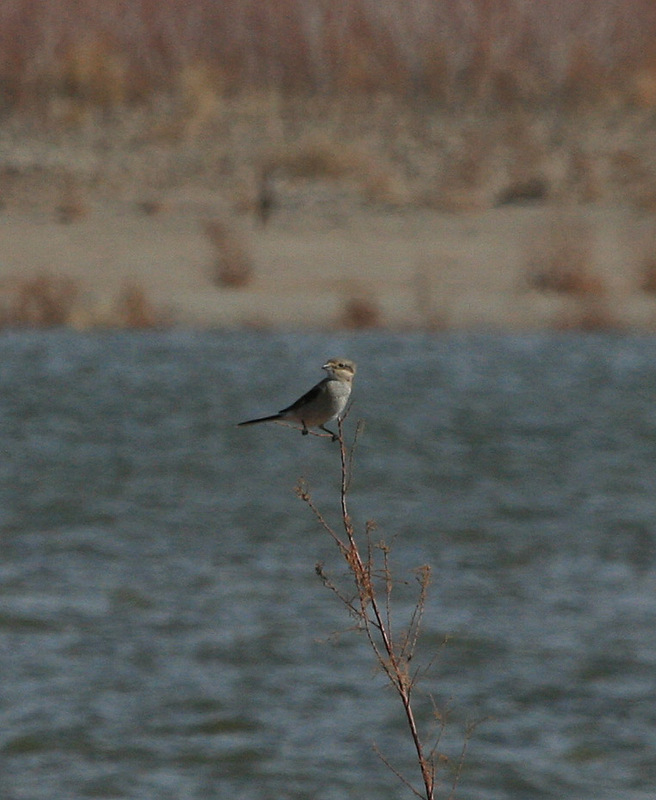 This is the FIRST Trans-Pecos record for Northern Shrike in 25 yrs! 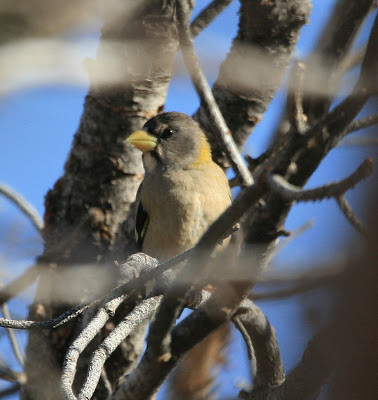 This young bird is the fourth Trans-Pecos record. Prior records coming from El Paso County (2) and the Guadalupe Mtns (1).